So, the year 2015 is just around the corner and what makes it special is that it is an election year. All adults in Nigeria are expected to exercise their franchise by voting for their candidate of choice into various government positions, the apex of which is the office of the President of the Federal Republic of Nigeria. From the look of things, there are 2 main candidates vying for this coveted post and the voting public are divided on who they queue behind. While President Goodluck Jonathan has the advantage of incumbency, his main challenger General Muhammadu Buhari is no pushover as he enjoys a massive following from many who are truly fed up with the apparent cluelessness and corruption that have been the hallmark of the Jonathan led government. Apart from the “Jonathanians” and the “Buharists” who clearly and staunchly support each of these aspirants, there are those who are just sitting on the fence because they do not necessarily think that these candidates are the best that this country has to offer at this crucial time. Some people are just tired of recycling the same old politicians who have led us nowhere in the past. I am one of those jaded voters. Apart from not being able to obtain my voters card up till now, I am quite cynical and unenthusiastic about the whole voting process and if the vote of the masses will count at the end of the day, but that’s a topic for another day. How I wish we had a contender like the current governor of Lagos State Babatunde Raji Fashola and the former governor of Cross Rivers State Donald Duke vying for the post of the President and Vice president respectively. But that’s all it will remain for now- wishful thinking. In the 2011 elections, I ended up not voting because apart from the fact that I was forced to register far away from my area, I didn’t have a candidate. I never believed in the ability of the current president to bring about the much needed change that Nigeria and Nigerians needed and 4 years down the line I have been proved right. I also didn’t support the candidacy of General Buhari who has been a serial presidential candidate since year 2003. I wondered why a 68 year would still aspire to be the president of a country of about 170 million people especially one who was once a military head of state through a coup. As far as I was concerned Buhari was on a personal vendetta and didn’t have the interest of the country at heart in his ambition. And so when Goodluck Jonathan won, I was not particularly disappointed, I was just indifferent and hoped for the best. Fast forward 4 years down the line, I know better and even though we appear to once again be between a rock and a hard place, if I had to vote for a candidate right now, I sure as daylight won’t be casting it for the incumbent president. I am willing to take my chances with the unknown rather than continue to keep faith with the known which has failed me for 6 years. 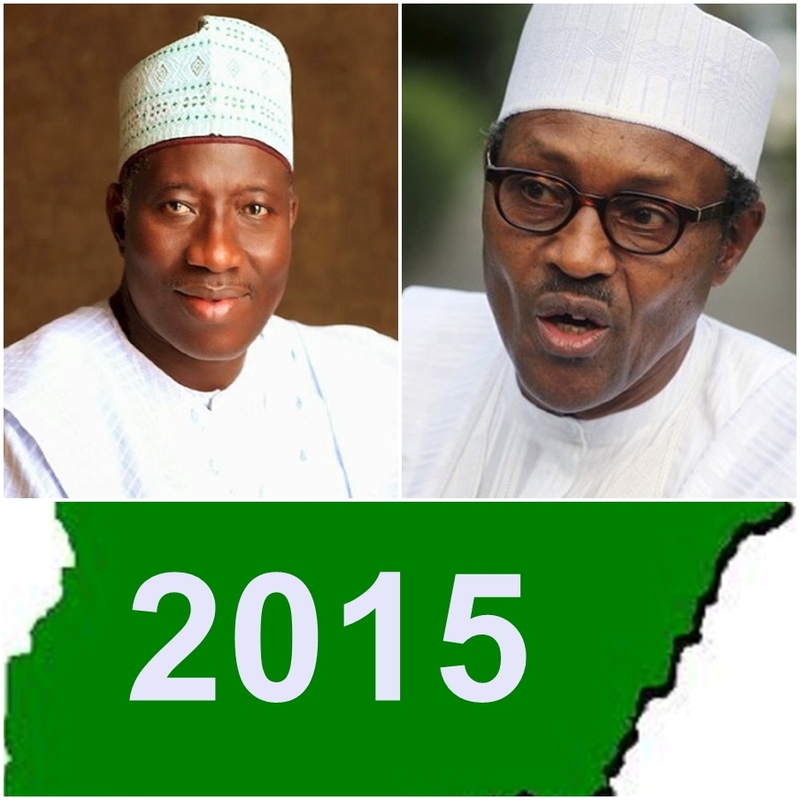 Many people have argued for and against the candidacy of both Buhari and Jonathan. The proponents of the Buhari candidacy point to his uprightness and stand against corruption as qualities which are badly needed at the helm of affairs in Nigeria today, while his critics cite his role in the coup d’etat that overthrew the civilian government in 1983 as an everlasting dent on his image as well as a popular opinion that he is a religious bigot and has a hand in the Boko Haram menace currently plaguing the nation even though no one has been able to prove it. On the other hand, the critics of the president have labelled him a leader who goes to sleep while his house burns or more aptly put- one who goes dancing a day after his compatriots were massacred. The Chibok girls are still missing 8 months down the line and many hold the president responsible (and rightly too) for the shoddy way the unfortunate incident was handled from the onset. The fact is this- none of these men are saints and if we the electorate decide to vote based on their errors then we will probably not have a president come 2015. At the end of the day we will need to choose between the devil and the deep blue sea. What’s certain for me is that I will vote almost anyone apart from the one who doesn’t see stealing as corruption. I will vote anyone but the one who doesn’t give a damn and who thinks America will know that which he should know. I will vote any other party other than the PDP who have kept Nigerians in perpetual poverty since 1999. Among the limited contenders for the very zenith of positions, I have made my choice and will take my chances. I don’t know about you. Lol, who’s your candidate Ope? Wonderful piece! None of the two presidential aspirant merits/deserves that position. These people can’t give what they don’t have. It’s high time we had condidered young, vibrant and productive minds for this position. My brother you can say that again. But the reality is that one of them will most likely be our next president come year 2015. It’s just the way the cookie crumbles right now. Thanks for your comment. First, today is GMB’s 72nd birthday anniversary. I think 68 might not paint the exact image of that line. More importantly, I think this is a beautiful analysis of the interaction that exists between Nigerian’s unguided desperation for change and our “next-available-flight” anxiety. For now, I’m yet to decide who and who to vote. But I sure know who and who not to vote. Good job, Ololade. Always on point. Thanks Dapo. I’m actually aware that he is 72 today. I was referring to year 2011when he was 68 years old. Maybe I am one of those who have caught the “next-availaible-flight” bug, but who can blame me? Our options are so sadly limited. Thanks so much for commenting. i think your depiction of the choice between GEJ and GMB as being between the Devil and the Deep Blue Sea is inaccurate. Jonathan we all know, but an accurate and undistorted knowledge of history will help you understand GMB is not in Jonathan’s league. Go and research his performance as former Head of State, not just in terms of his anti corruption stand, but also in terms of the country’s economic stability. You may also wish to know how he performed as PFT Chairman. For one, realize GMB was not a part of the coup that brought him into power. Hmmmm, I agree with all you have written except for the part where you assert that GMB wasn’t part of the coup that brought him into power. Though he may not have have been at the forefront of the forceful takeover, It is difficult to wash him off entirely from that incident. Thanks for commenting though dear sir. Cool piece. I choose to vote against gej but this voters card wahala may not allow. IF all gmb comes to do is Fight corruption then that pretty Good for the nation. It should sort out a lot of other things. Thank you! if all Buhari does is to keep corruption at the barest minimum it sure will take care of a whole lot of other salient issues, even though I sincerely hope he does more than that. It has gotten so bad that if you throw up an option of a convicted criminal and it is made mandatory that i should vote, i will cast same for the criminal than the current individual at the helm of affairs! we have NEVER had it this bad.. NEVER! we have regressed, we have been extremely improverished, we have been murdered, raped of all form of hope, abused and tortured, made a mockery of (locally and internationally), brazenly looted, cheated … it is endless! as such, a no-option is now an option as long as it will bring some change no matter how minimal. Ours (Nigeria) is a very sad story and it can only take divine intervention to see us through. We have leaders crusing in posh cars and flying the best of private jets and yet they ideally belong on the stake facing the beach and a firing squad. BH maims innocent citizens daily and yet our president comes out repeatedly to rehearse a speech on how he condemns these acts in their totality and the next minute he is on a flight to an overseas country for “talks”. . if the world was bored stiff, it only takes our First Lady to open her buccal for 2 minutes and the entire globe shall be reeling in laughter…. You need not get involved in money rituals to become stupendously rich overnight; get connected to a few big boys at the top, and you stand to recieve petroleum subsidy payment in billions of naira without importing a drop of PMS not to talk of a litre! We need a change and ASAP too. Nice piece Lolade; i am pitching my tent with you. even though i still do no have a voters card till date. I totally understand you venting on this topic. It’s really sad and I tell people deep within me I would rather not have either of the 2 candidates but we all know one of them will be our president come May 29, 2015. The other opposition party candidates are all pretenders to the throne. It’s basically just choosing the better of 2 evils. Thanks for commenting bro.